Home | Acity Life | Save Up To £900 On Smeg Opera Range Cookers & Hoods This Weekend Only! Don’t Forget 2% Of All Range Cooker Sales Goes To Comic Relief! 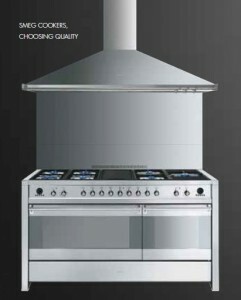 A passion for cooking deserves an outstanding cooker, with a harmonious blend of practicality and style. 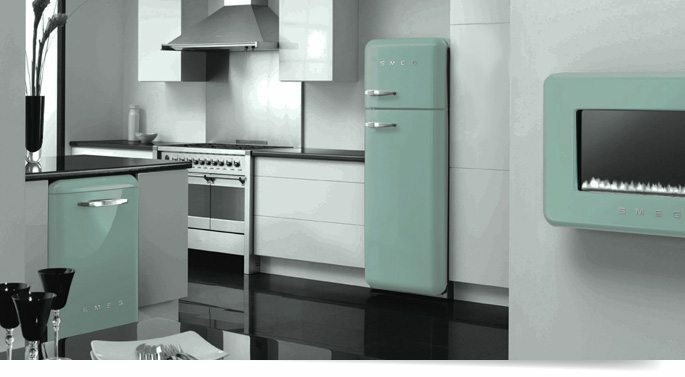 Inspired by the cookers used by the world’s great chefs, Smeg offers genuine design icons where style and elegance go hand in hand with extreme versatility. Clear combinations of features, technology and style have produced the truly versatile series of Smeg Opera Cookers. The serious cook can select a beautiful design object to enhance the kitchen, which can reflect the skill of its owner by providing excellent culinary results from its wealth of functions and features. The stylish analogue clock with electronic programming, as well as adding an exclusive touch of class, offers a convenient cooking solution, allowing you to program the start and stop of cooking times. Cast iron pan stands for a stylish finish guarantee maximum safety with more stability so that pans can be easily moved from burner to burner. Opera Cookers can be co-ordinated with a matching splashback and hood to complete the elegant look. Apart from the 90cm models with a single extra large 70 litre capacity oven, all Opera range cookers have two ovens. Main ovens are multifunction, with capacities between 60 and 70 litres, all featuring a comprehensive choice of oven functions. All auxiliary ovens feature grills and conventional cooking, while some models also offer a rotisserie and can be fitted with a plate rack as an accessory. Furthermore a spacious drawer under all ovens provides a convenient solution to tidy away kitchen utensils. Hoods play an important role in the kitchen, both aesthetic and functional. 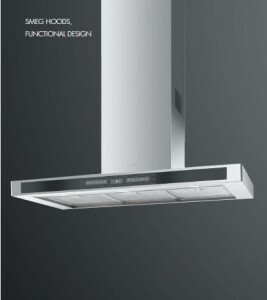 Designed to offer the best combination of styling and functionality, Smeg Opera hoods reflect the elegance and style of the other kitchen appliances with which they are installed. For this weekend only (8th – 10th March) we are offering a free Opera Cooker Hood worth up to £900 with every Opera Range Cooker!